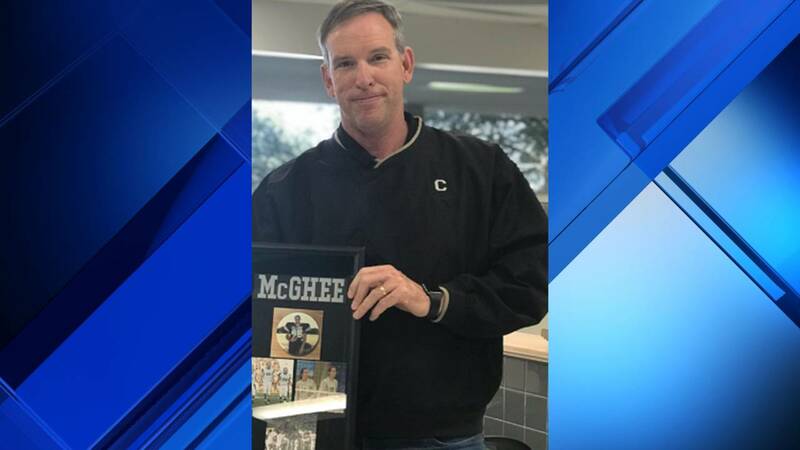 SAN ANTONIO - Longtime Clark High School head football coach Steve McGhee has stepped down after nearly two decades at the North Side ISD school. North Side ISD Athletic Director Stan Laing told KSAT Sports McGhee officially resigned Jan. 7 when students returned from winter break. Laing said the position was posted but had not been filled as of Friday. McGhee took over the Clark football program in February 2010 after eight years as an assistant coach under previous head coach Lloyd Alexander. He went 33-59 in nine seasons as head coach of the Cougars. McGhee was also part of the Roosevelt High School coaching staff that won the Texas football state title in 1995. McGhee graduated from Clark in 1988 and was named as an all-state tight end in 1987. Laing told KSAT Sports McGhee is now working in the district’s athletic offices.